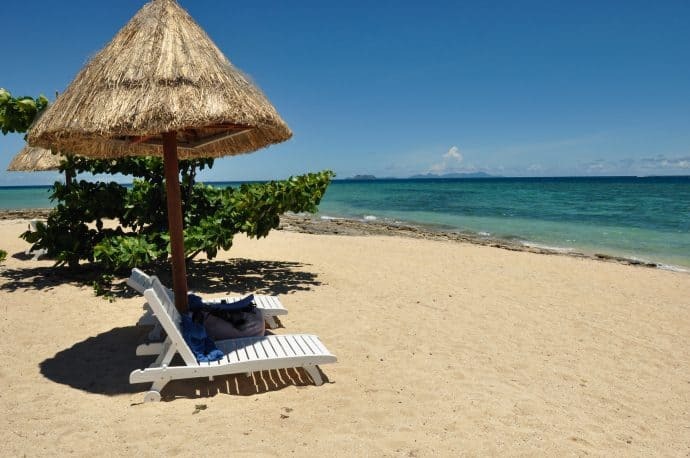 Most people who visit Fiji will be familiar with Viti Levu – Fiji’s largest island. 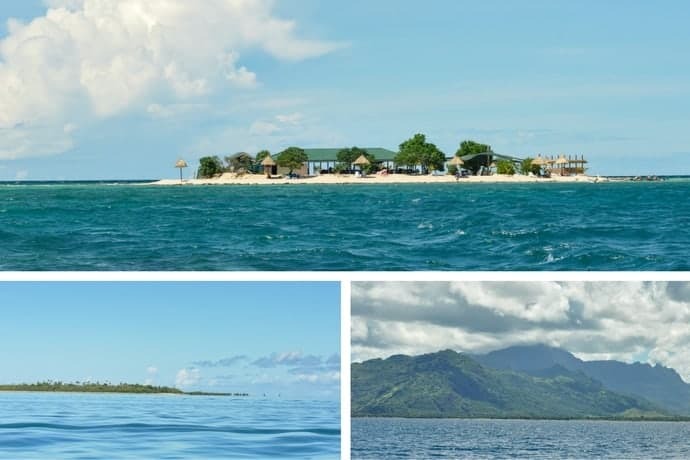 But with over 300 islands in Fiji (just over 100 are permanently inhabited) it would be a shame not to take the opportunity to hop on a cruise to a lesser-known island. With only 4 days to explore on a recent trip to Fiji, we decided a day cruise was our best bet to discover what the other Fijian islands have to offer. Stopping by the tour desk at our resort, we were recommended Oolala Day cruise to Savala Island. I had my heart set on a sailboat cruise, but after a quick google, I could see that Oolala had fabulous reviews so we decided to give it a shot. For FJD$230 (approx NZD$160 / €100) per person it was a bit of a splurge, but apart from the Fiji Village Tour we had booked, we didn’t intend on doing many other tourist activities during our stay. Most boat cruises in Fiji leave from Port Denerau which is approx 60kms from where we were staying. Port Denerau is also where cruise ships dock when they visit Fiji – so don’t forget to pack your day bag if you want to jump on a local cruise to the outer islands! Given the relatively short distance, I was surprised when the booking agent told us to be ready for pick-up 1.5 hours before the cruise start time of 10am! Of course, what I hadn’t factored in was an ancient bus that could barely make it up some of Fiji’s steeper hills (we passed a bus that had fallen victim to one such hill on the way). The early start appeared to be too much for our driver who was visibly struggling to stay awake. I was having visions of our bus ploughing into a sugar cane field as I watched his eyelids droop. Thankfully we hit some traffic around the turn-off to Denerau which jolted him awake long enough to get us to our destination. I’ve never been so happy to get off a bus! The M.V. Oolala; The Sailboat I wished we were cruising on; Picking up extra passengers on the way. We were met at Port Denarau and escorted to our compact vessel for the day. The trip to Savala island took around an hour and a half, including stopping to pick up some extra passengers at another island on the way. If you like a cruise with commentary, Oolala will disappoint. The journey to Savala feels like more of a ferry than part of the tour experience. Still, you can take in the view while soft drinks, water, and coffee/tea were offered along with homemade banana cake. Savala Island & the sights along the way. 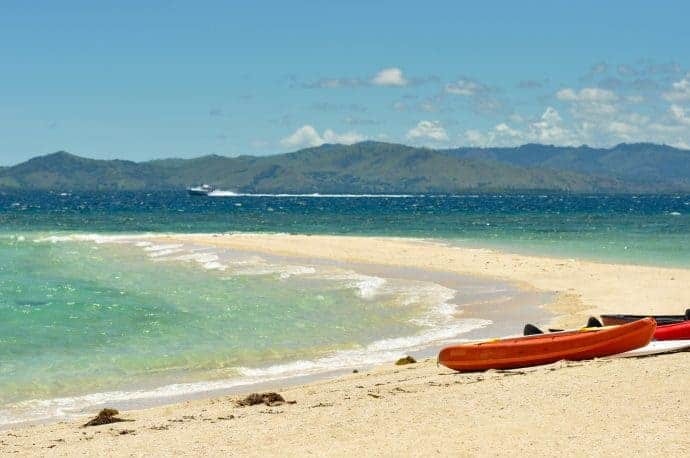 The island is as beautiful and serene as I’d imagined Fiji’s outer islands to look like – complete with brochure-worthy turquoise waters, golden sand beaches, and gently rustling palm trees. 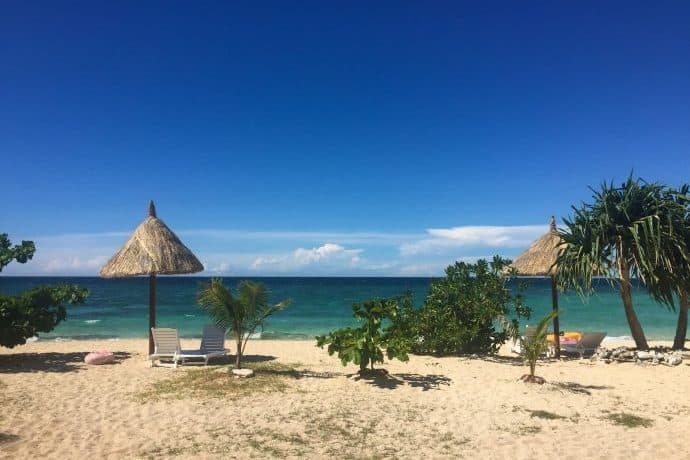 You really feel like you’ve arrived somewhere special at Savala Island. The island is tiny but big enough to accommodate the tour passengers without feeling crowded. A large central hut provides an escape from the sun, and loungers are strategically placed for privacy and uninterrupted sea views. 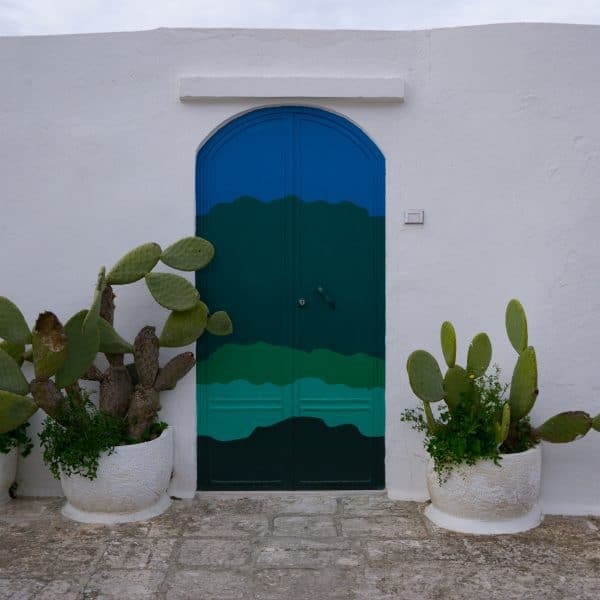 Toilet facilities on the island are basic – and water is in short supply. At the end of our stay, there was no running water to wash with. 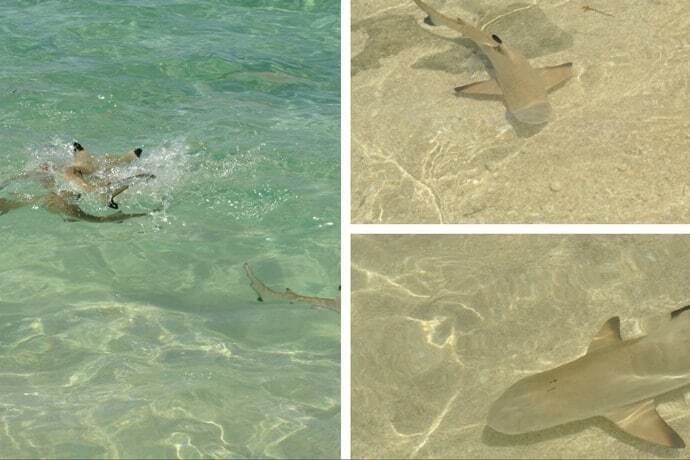 Activities on Savala Island included snorkelling, glass-bottomed boat tours, shark feeding and kayaking. Those who just want to relax can also enjoy a massage for an additional charge. With only 4 hours on the island (or less if the journey takes longer than expected – like it did for us) including time for lunch, you really don’t have time to enjoy all the activities on offer. Feeding fish on the glass bottomed boat tour. 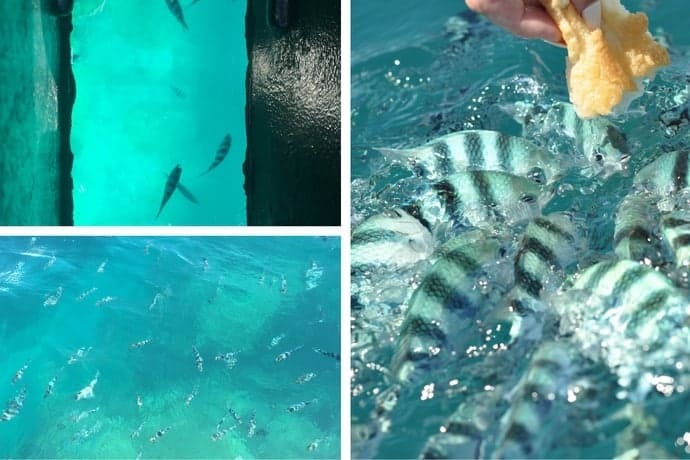 My husband and I had time to try snorkelling and go on the glass-bottomed boat tour (which included fish feeding) before lunch was served. After lunch, it was time for the baby shark feeding. Something tells me leftover pork sausages and chicken aren’t part of the natural diet for these guys – but they were excited about their food nevertheless. I retreated from the shark feeding frenzy to relax with a glass of wine on a sun lounger for an all-too-brief 20 mins before we were called back to the boat for boarding. Lunch was served buffet style under the shade of the centre island hut. Simple Kiwi/Aussie-style BBQ fare of chicken, sausages, salads, and bread was served. Beer, wine or soft drinks are also available. Vegetarians/vegans aren’t well catered for, even with advanced warning – so we were left with a green salad and bread rolls for lunch. After our meal, the staff gave a short but entertaining presentation about the palm tree. It was fascinating to learn how many uses the Fijian people have for these tropical plants. The team onboard Oolala were absolutely fantastic. Welcoming, professional and entertaining with their singing, jokes and guitar playing – the absolute highlight of our cruise. Overall I was left feeling a little underwhelmed by this cruise. 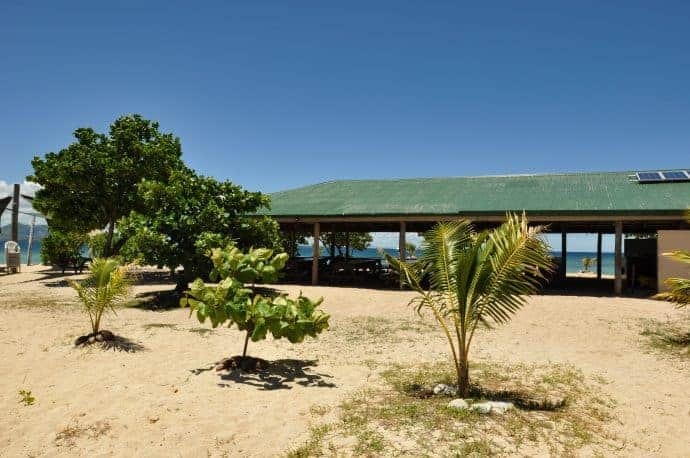 We left our hotel at 8.30am and arrived back around 7pm – that’s a huge day of travelling for under 4 hours on Savala Island itself – no matter how picturesque it was! I felt like we didn’t have adequate time to enjoy the island and the activities on offer. I was also a bit uneasy about the food choice (bread) for the fish feeding, let alone the questionable ethics of feeding schools of baby sharks leftover cooked chicken and sausages! Unsafe bus driver (fortunately we didn’t have the same driver on the way home!). 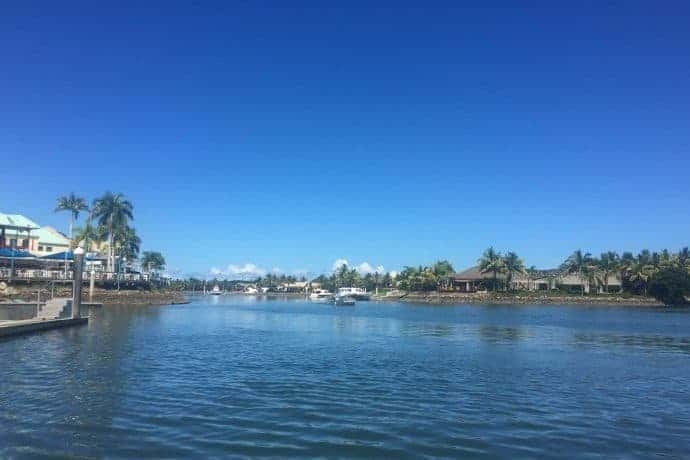 If you’re thinking about taking a boat cruise as part of your holiday in Fiji, look into your options before you go. The islands all have different offerings – some with full resorts at your disposal! 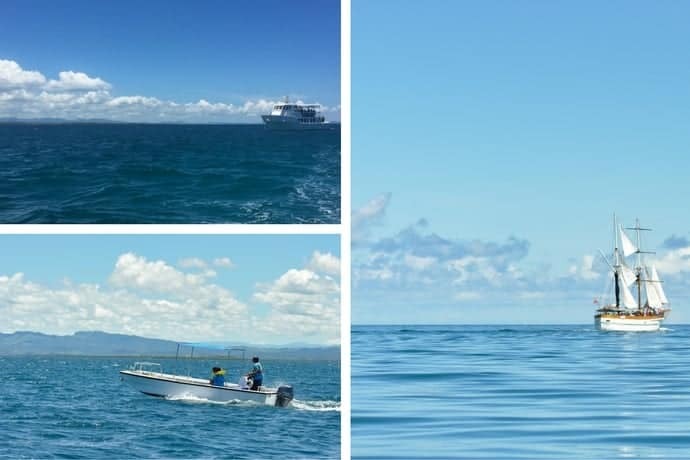 Below are some of the most popular day cruises in Fiji. Nadine is a semi-nomadic Kiwi currently living in the South of France with her husband Julien and young son Arthur. 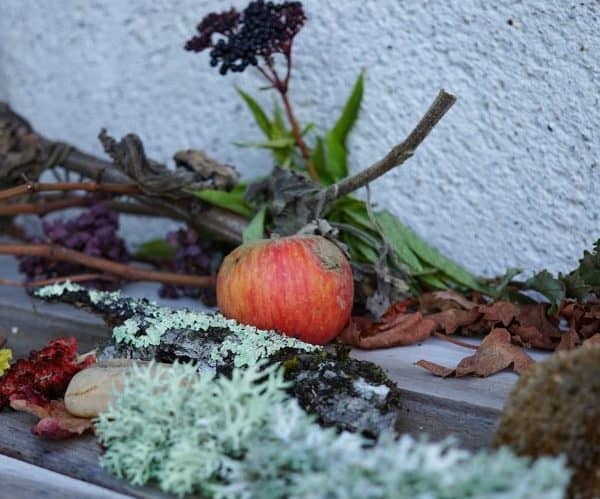 She's passionate about responsible travel and loves it when luxury and eco-cred collide! 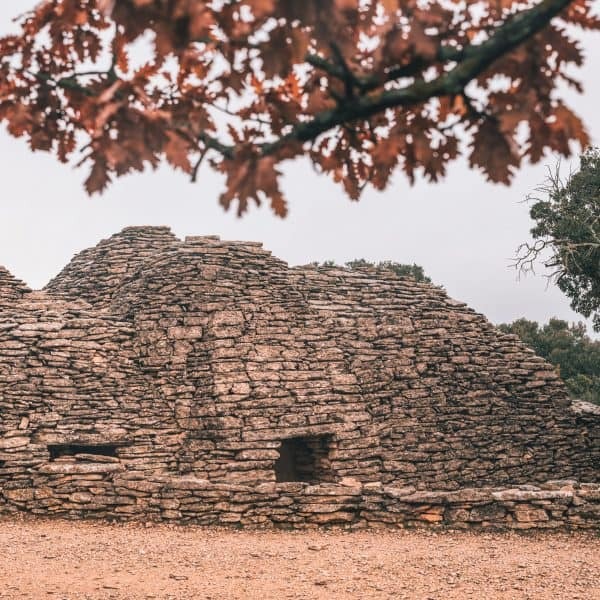 An expert at discovering lesser-known attractions, she's loving getting to know her adopted country in depth, while enjoying short breaks around Europe and beyond. 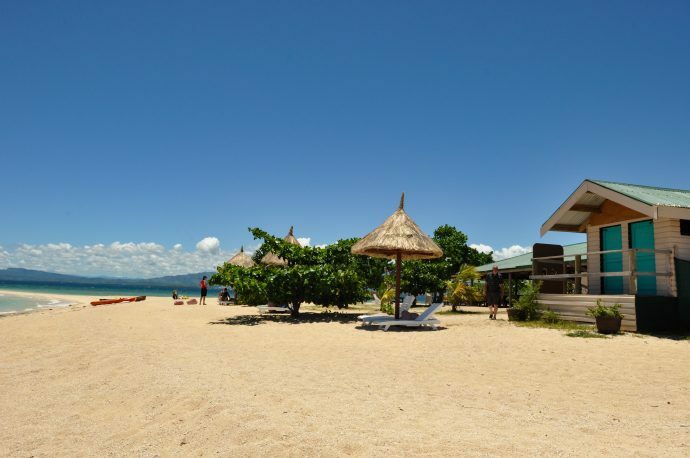 What to Pack for Fiji – Your Complete Fiji Packing List! Good review, Nadine. This post gave me a somewhat better idea of what Fiji is like. Have you been to the other islands there in the neighbourhood during the same trip? Was it worth it to travel so far? Thanks Jurga! Unfortunately, as we were only in Fiji for 4 days, this was the only island we visited away from Viti Levu. If we were to go back, I’d love to explore more islands! We travelled from New Zealand to Fiji – so only 3 hours away. It was definitely worth the trip (from NZ – not sure how I’d feel if coming from further afield) overall as a short break for some R&R.